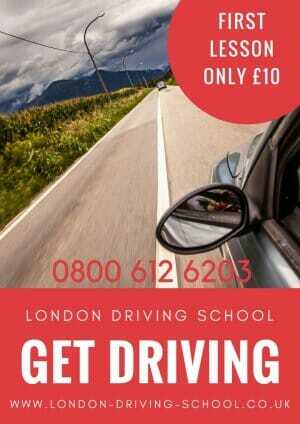 Here at London Driving Schools we aim to provide all our driving students with the much needed useful resources, tools and materials to help you pass your driving test in London the first time. Please browse, view and use the online resources below before, during and after your practice lessons to guage your improvement. This will give you all the confidence you need on the day of each of your tests. The most comprehensive and helpful Driving Test Video that explains clearly exactly what to expect when you go to the test centre to take your Theory Test (Multiple Choice) and your Hazard Perception Test (Video) and then on to the actual practical driving test. A total of 9 MCQ based 50-question test out of which you are supposed to answer at least 43 questions correctly in 57 minutes. The questions that are part of the content are chosen from more than 1000 questions and you are asked to answer by the touch of the screen. Prior to your hazard perception test, you are shown an introduction video for hazard perception. Watch our Hazard Perception Video Intro to learn more. This will make everything clear and will explain what is expected when you take the test. Attempt our Online Hazard Perception Test, comprising of 12 videos that contain developing hazards, which is prepared upon the same format as the Hazard Perception test that you would attempt to get your license. Prepared according to the basic requirements of law, the Driving Test Eye Simulator tests your eyesight and judges you with respect to the legal requirements. Attempt to test your eyesight through our Eye Simulator today. Click here to take advantage of our special introductory £10 lesson offer.